wealthy, violent family with a load of trouble on their hands--including an oil spill, a missing girl, a lethal dose of Nembutal, a six-figure ransom, and a stranger afloat, face down, off a private beach. 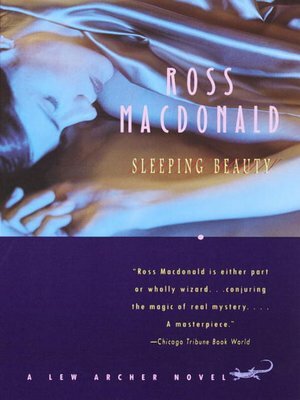 Here is Ross Macdonald's masterful tale of buried memories, the consequences of arrogance, and the anguished relations between parents and their children. Riveting, gritty, tautly written, Sleeping Beauty is crime fiction at its best. If any writer can be said to have inherited the mantle of Dashiell Hammett and Raymond Chandler, it is Ross Macdonald. Between the late 1940s and his death in 1983, he gave the American crime novel a psychological depth and moral complexity that his pre-decessors had only hinted at. And in the character of Lew Archer, Macdonald redefined the private eye as a roving conscience who walks the treacherous frontier between criminal guilt and human sin. Ross Macdonald died in 1983.